St. Patrick Church first opened its doors on December 25, 1891 on the corner of North Starr and Tacoma Avenue. In May of 1893, St. Patrick Church moved a short distance to North Starr and “G” Street to property owned by the Dominican Sisters. The Tacoma Dominican Sisters began our first parish school in the small wooden building that served as parish and school on September 8, 1893. In May of 1899, the parish purchased the property from the Dominican Sisters. The construction of the Aquinas Academy began on “G” Street on June 13, 1899. The high school for girls was another of the many ministries provided by the Dominican Sisters. Tragically, St. Patrick Church was destroyed by fire on August 15, 1905. It was then decided to purchase lots on North 12th and “J” Street. On March 17, 1906, the first cornerstone was laid for the new church, the date being very significant since St. Patrick is our Patron Saint. The church was completed on June 17, 1907 and dedicated on June 30 of that year. 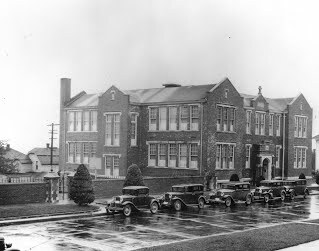 St. Patrick Catholic School on North 11th and “J” Street was completed on November 12, 1919 with an enrollment of 325 students. The school continued at this location for 55 years. In 1957, a new Aquinas Academy for Girls was constructed to continue the Sisters’ ministry. In the fall of 1974, three Tacoma Catholic schools — Aquinas, St. Leo and Bellarmine — consolidated to form one high school — Bellarmine Preparatory School. With the former Aquinas Academy building vacant, St. Patrick Catholic School moved down the hill to occupy it. The old St. Patrick Catholic School on “J” Street was demolished in 1992 and the lot was left vacant until it was decided to dedicate the property to a grotto area and a rectory for the Parish Priest. St. Pat’s has a long tradition of providing a formative education to children in North Tacoma. What was started by the Tacoma Dominican Sisters in 1893 is now a pre-kindergarten through 8th grade community (primary through middle school) staffed by committed teachers with specialties in literacy, music, art and physical education as well as Spanish and technology. St. Pat’s has maintained the original mission of the Dominican Sisters — to provide a quality Catholic education in order to nourish the faith life of our students.